How Many Secrets Is That Car Hiding? Buying a used car can feel like a risky experience. You need a good, reliable vehicle that isn’t going to break the bank with payments or unexpected repairs. But all you can know about the car is what you’re told, and what you can see…right? Well, yes and no! 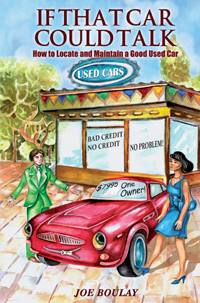 In this concise, engaging, friendly guide, expert mechanic Joe Boulay shows you how to see a car through the eyes of experience, greatly expanding what you’re able to tell about that used car before you spend your hard-earned money. Even if you have no mechanical knowledge or aptitude, Joe’s clear explanations, supported with photographs, can give you a wealth of information about what to look and listen for. You’ll also find pragmatic advice about how and where to shop for a car, the ins and outs of maintenance, and how to find a good mechanic. Whether you’re looking at your first used car or your tenth, If That Car Could Talk is an invaluable resource for getting the most out of your next car purchase. Joe Boulay has been fascinated with all things mechanical ever since childhood. He progressed from resurrecting defunct lawnmowers to becoming a certified automotive technician, earning a Platinum designation from Honda.After twenty years working with Hondas, Joe moved on to independent auto shops, with the opportunity to learn about and work on many makes and models. 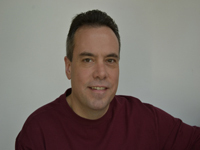 Joe is excited to share his wealth of experience, as a car owner and as a mechanic, to help his readership find a safe, reliable car and a good, trustworthy mechanic.